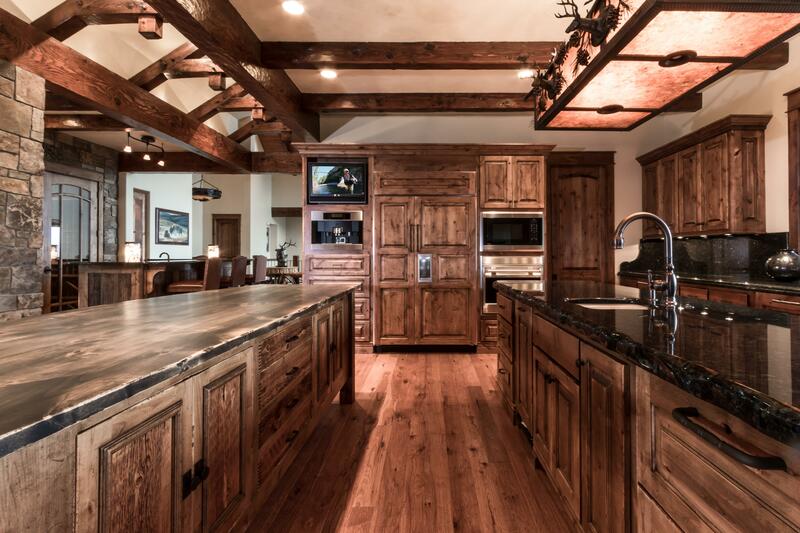 “The custom legacy home is the epitome of rustic elegance designed with entertainment in mind,” stated Grand Estates Auction Company Director of Operations Jeremy LeClair. Luxury real estate buyers seeking the best of the Big Sky sportsman’s lifestyle; a safe place to invest in a growing real estate market; a sustainable lifestyle; acreage to create a multi-generational compound; or who just want a place to get away from it all, need look no further than the Grand Estates Auction Company absolute auction of a 259-acre Bitterroot Valley estate on August 16th. 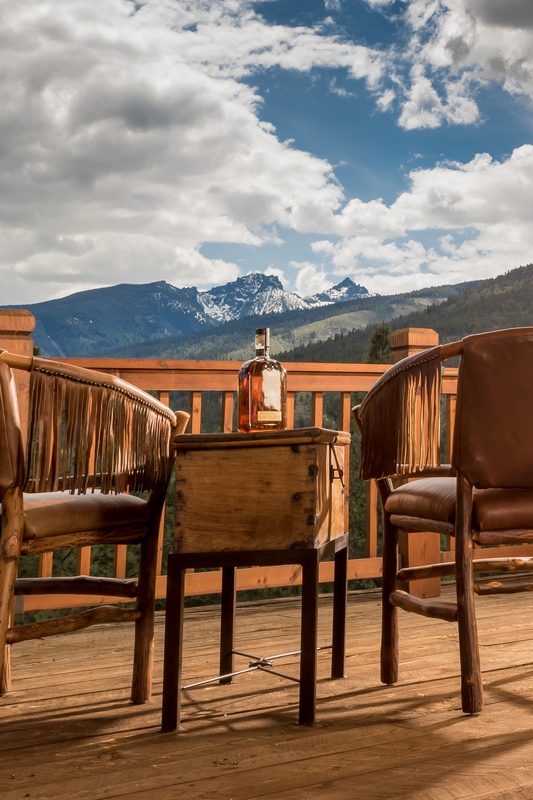 All of these desires can be met amid the tranquility of the majestic mountain views and lush valley meadows of this newly constructed peaceful retreat, with easy access to the state’s second-largest city. 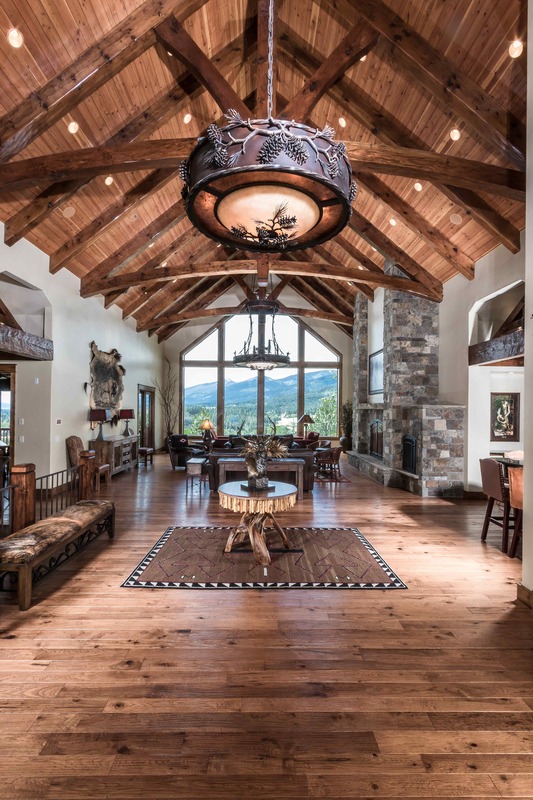 Voted “Best Craftsmanship,” “Best Kitchen,” and “Best Décor” during the area’s recent Tour of Homes, this home provides every luxury imaginable while preserving mountain charm. The Bitterroot Valley is nestled between the Sapphire Mountain Range to the east and the Bitterroot Mountains to the west, bisected by the Bitterroot River running the length of the valley. This tranquil valley setting creates a moderate year-round climate and offers unsurpassed beauty all along the 96-mile stretch of valley. The Bitterroot National Forest and six nearby winter sports areas offer hunting, fishing, hiking, boating, rafting, snowmobile trails, and skiing. Just 45 minutes from Missoula and the University of Montana, Missoula, it is easy to take advantage of Montana’s culture, historical heritage, and sporting events. A private airport provides easy access, and Missoula offers non-stop flights to 12 major U.S. cities. 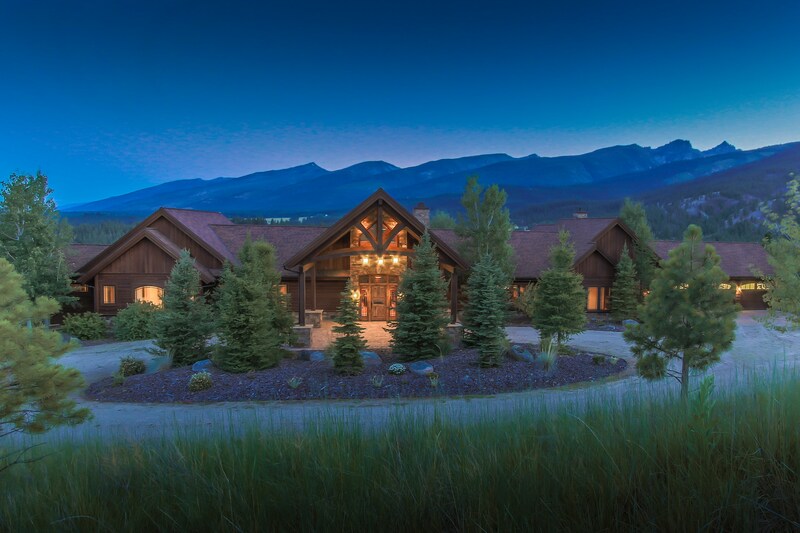 The expansive mountain retreat with striking views of the snow-capped peaks of Castle Grag is perfect for entertaining, providing four separate bedroom suites, including a main level master suite with vaulted ceilings, private deck, en suite bath, fireplace, and walk-in closet. The easy living floor plan features three powder rooms, a custom-designed kitchen with top-of-the-line appliances, a 750-bottle wine room and bar, dedicated office, family game room with fireplace and wet bar, a deluxe home theater with surround sound, exercise room, two laundry rooms, large outdoor living spaces, and a three-car garage. 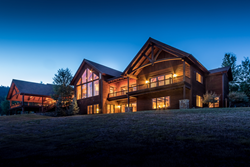 Craftsmanship is evident through the hand-hewn wood beams, soaring ceilings, four fireplaces, hickory hardwood floors, natural stone, and inch-thick Haida Skirl cedar siding. State-of-the-art features include whole home audio and video system, radiant floor heating, Lutron lighting, and video surveillance security. A sustainable flowing freshwater well provides water to the property. There is an additional two-bedroom and one-bathroom home on the property that can be used as a guest home or as a property manager residence. Smith Creek flows through the 259 valley acres, including a fenced horse pasture. Grand Estates Auction Company has an unsurpassed closing rate in the luxury residential real estate auction industry and specializes in creating impactful global marketing campaigns for luxury properties. There are no contingencies, no lengthy negotiations, and timelines for closing are already established. To help buyers make an informed purchase, a comprehensive due-diligence packet is available, and ample time is allotted for tours and inspections prior to the auction. The Montana auction will start promptly at 2:00 p.m. on Tuesday, August 16th. Provisions for remote bidding can be arranged. The property will be available for prospective bidders to preview beginning Friday, August 12th at 1:00 p.m., with daily preview times scheduled through the date of the auction. Buyers may contact Grand Estates Auction Company for details at 800-552-8120, or by requesting information at MontanaLuxuryAuctions.com. Verified funds in the amount of $150,000.00 will be required to register to bid. Real estate agents and brokers are fully protected and encouraged to participate. Grand Estates Auction Company is focused on delivering the most results-driven luxury real estate auction events, specializing in properties valued at $2 million and above throughout North America, the Caribbean, and select international destinations. Based in Charlotte, N.C., Grand Estates Auction Company has built a specialized platform and auction process that provides the highest success rate in the industry. Since 1999, Grand Estates Auction Company has successfully auctioned more than one billion dollars of luxury real estate. For more information and auction details visit http://www.MontanaLuxuryAuctions.com.